Mark and identify your VEX parts! 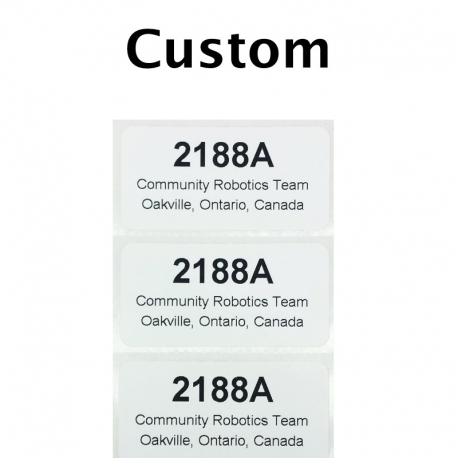 These stickers can be custom printed with lots of info such as your Team Number, Name, Address, or anything else in 3 lines of text. Comes with a sheet of 10 stickers. 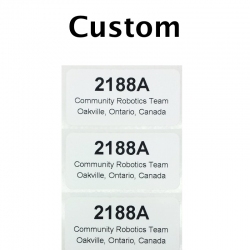 Each sticker measures 1" x 2". Maximum of 6 characters for the first line and 25 characters for the second and third lines. 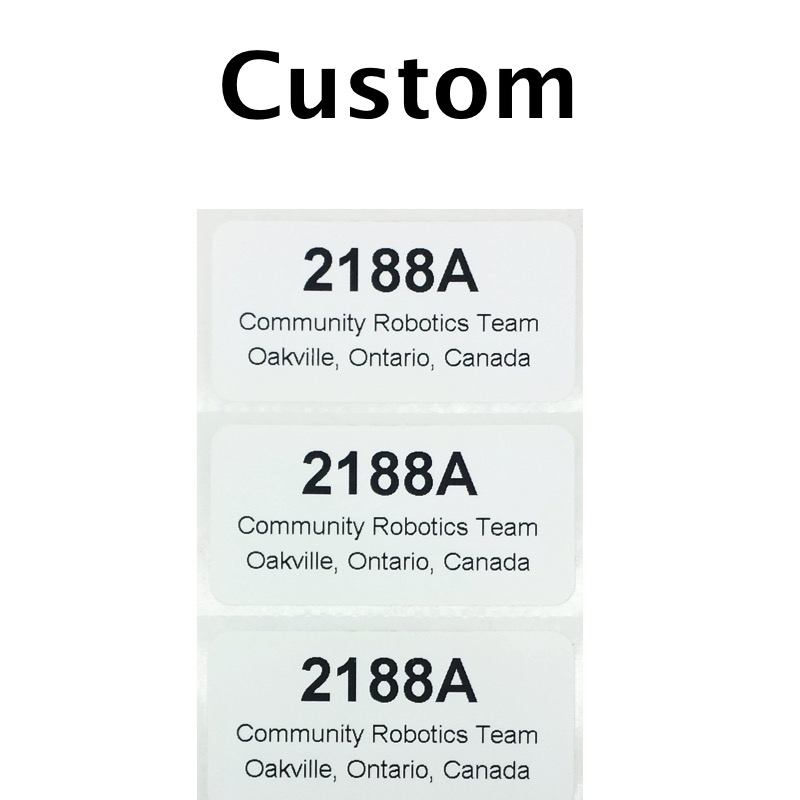 The text field does not limit entry length, however if you enter more than 6 or 25 characters in the respective fields your text will likely be cut off on the sticker.